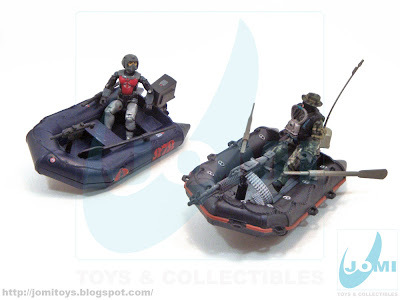 Face to face: Hasbro´s G.I.Joe Cobra and Chap Mei´s Police Force inflatable dinghies. The inspiration and the "evolution". Very similar in size (apart from the obviously similar design) and perks, Chap Mei´s is original enough to own... at least one. 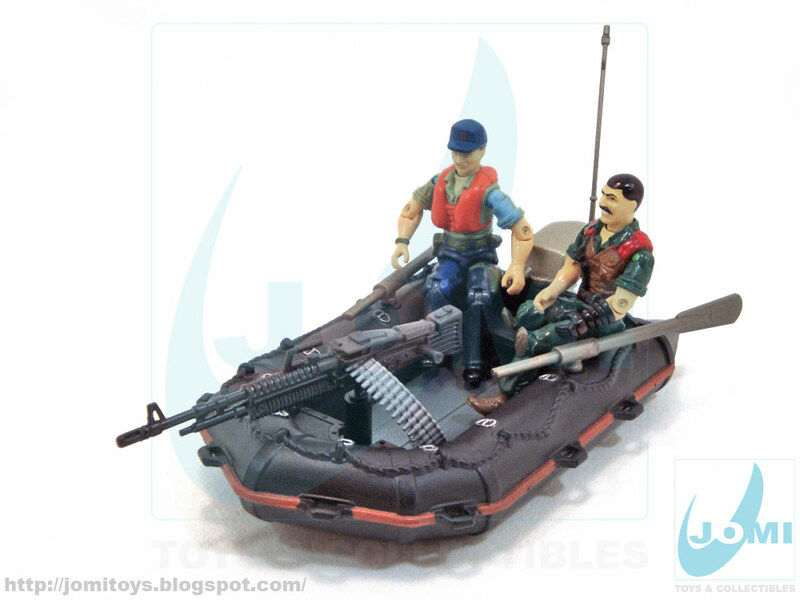 Removable engine, paddle set, front gun... it´s all there in both. As for the Chap Mei´s molded radio (with removable antenna), Hasbro´s 1985 dinghy comes with a hand radio set. 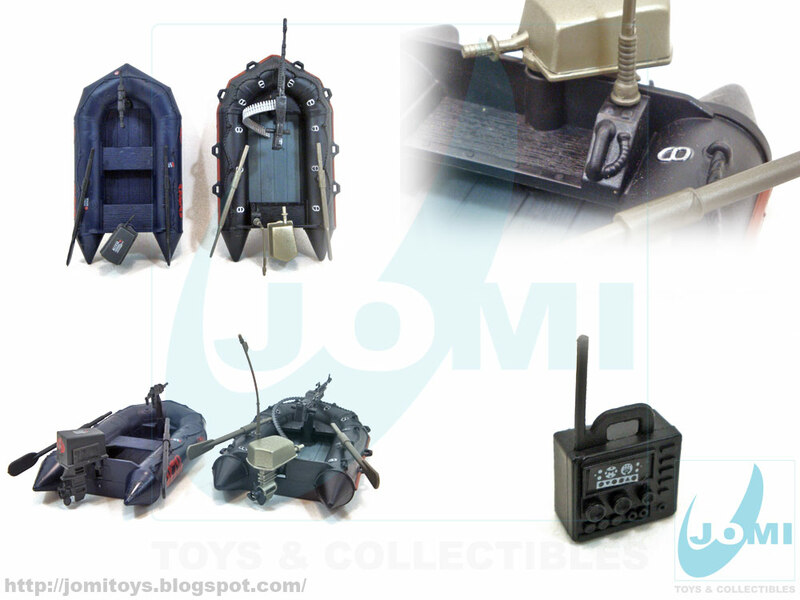 Scale shot with Hasbro´s ARAH G.I.Joe figures. 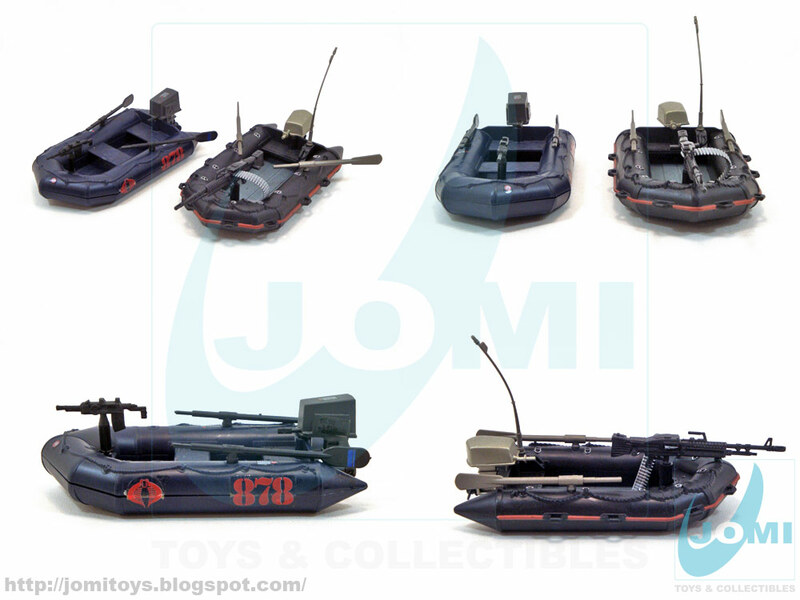 A great "Zodiac" for your Joe... or Enemy army!